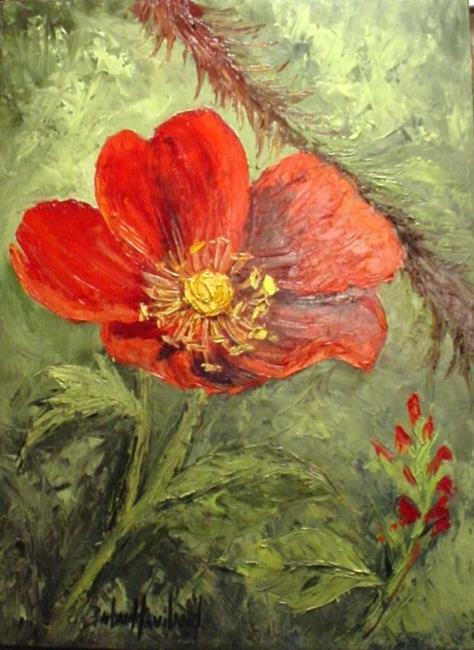 Wild Rose measures 12"x16" and is done in oils on a stretched canvas. It is completely done with a palette knife. I don't do many paintings using the knife but I must say that II loosened up with this one. I loved the effect you get with a knife. The painting comes to you signed and with a CO.